Jessica Gorlee is an accomplished specialist in the field of vocal mechanics. In addition to being a voice teacher and singing performing artist, Ms. Gorlee is also an experienced speech-language pathologist, possessing a deep knowledge of proper use and care of both the healthy and strained voice. Dutch born, Jessica received her Bachelor’s degree in speech-language therapy at the Hogeschool van Utrecht (Faculty of Healthcare) in Utrecht, the Netherlands. She later emigrated to Sweden. After moving to Sweden, Ms. Gorlee spent 3 years traveling to and from Copenhagen, Denmark to study with Cathrine Sadolin and her incredible team of vocal coaches and, finally, received authorization to officially teach the CVT method from The Complete Vocal Institute. 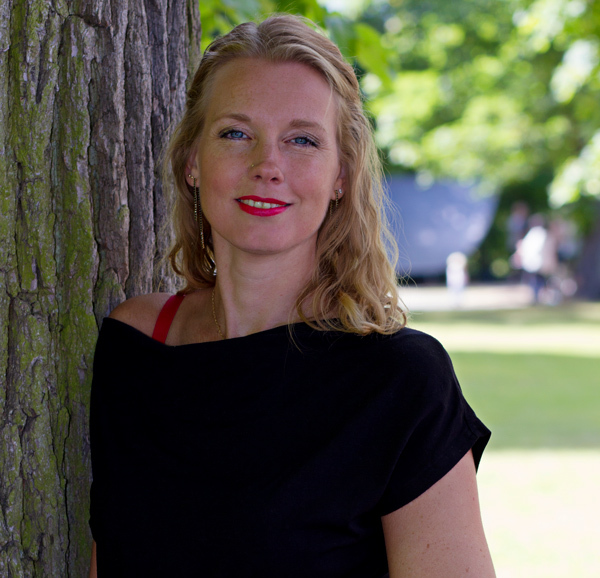 Jessica is the only voice instructor formally authorized to teach the Complete Vocal Technique in Linköping, Sweden. She was the first speech-language pathologist in the world to receive an authorization. Jessica has sung many musical styles in a range of different choirs and bands for nearly 30 years on stages big and small in both Europe (De Doelen, Rotterdam, The Netherlands, Denmark, Poland, Hungary, Austria, Switzerland, Belgium, Germany, France, Cyprus and, amongst others, Konsert & Kongress, Linköping, Sweden) and in the United States (XXIV and XXV Annual Pacific Voice Conference, San Francisco Conservatory of Music). She feels that when she sings, the most important thing is for the audience to experience the emotional essence of the song, and wishes that that will be the primary goal of every singer. Jessica is skilled in assisting her singing students with both the technical and interpretive aspects of vocal performance. She is deeply committed to providing the tools required for each singer to feel free, secure and in command of the voice to achieve clarity in expression. In addition to teaching privately, Jessica has spent the last 7 years coaching both large choirs and small groups. She has given lectures and workshops on vocal health to teachers, actors, trainers and for companies in the private sector, such as Campushallen, Astrid Lindgrens Värld, Statistiska Centralbyrån and Söderköpings Kommun. Her positive outlook and depth of knowledge of vocal mechanics makes everyone she engages feel inspired and motivated, as well as, informed. As the Dutch say, Ms. Gorlee is a musical centipede given that she is also a gifted instrumentalist. In addition to singing, Jessica plays the guitar, oboe, recorder and piano.